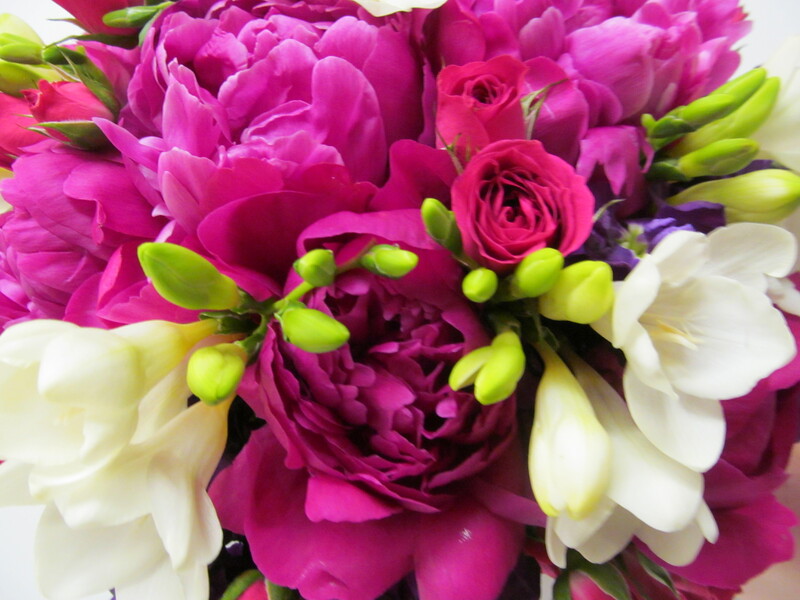 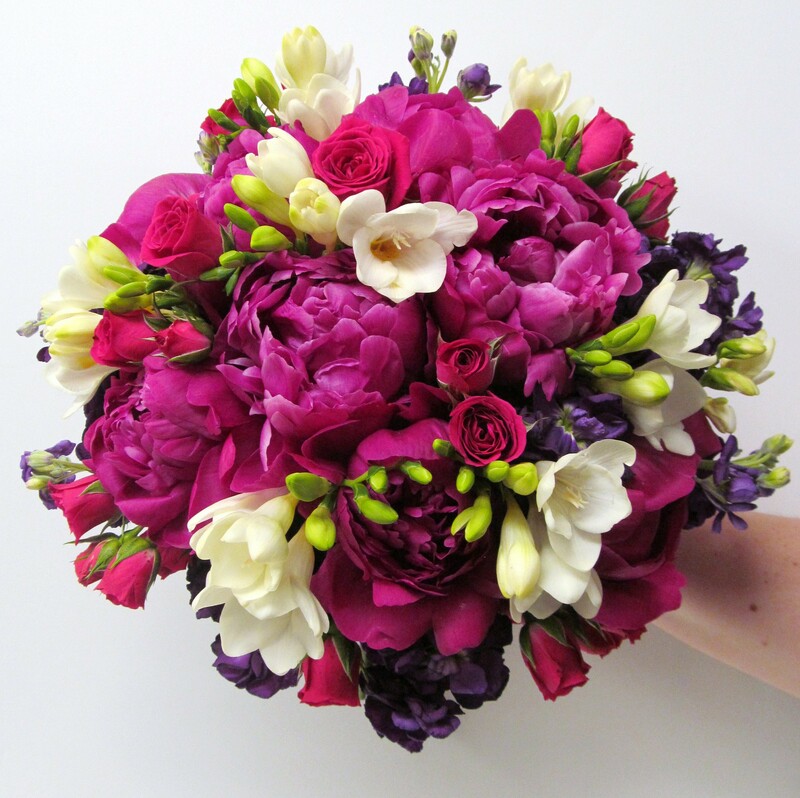 Fuchsia peonies accented by beautiful pops of white and purple create a stunning bridal bouquet. 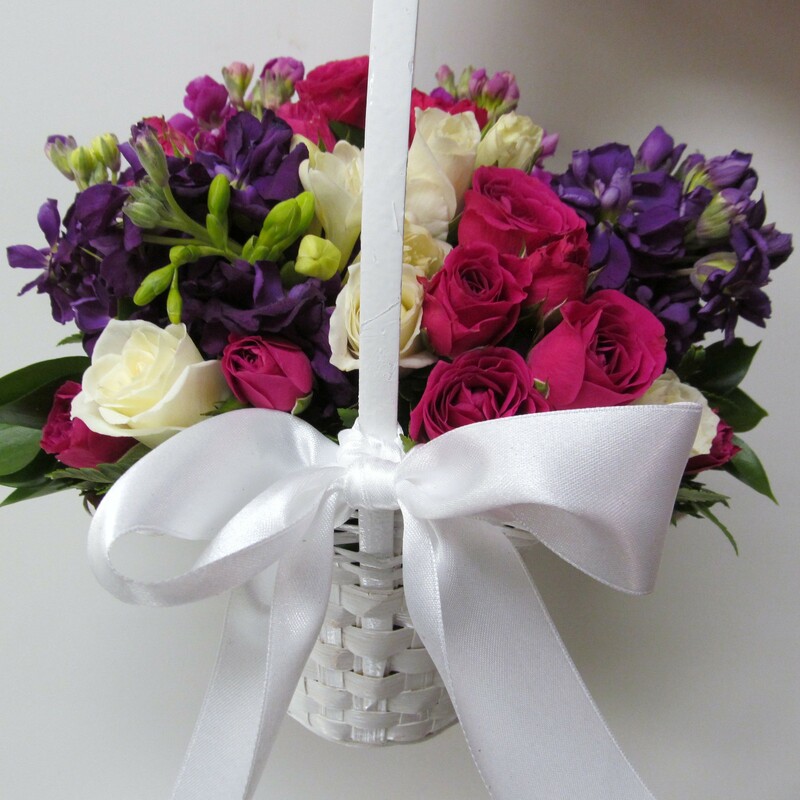 The flower girl carried a complementary assortment of flowers in a simple white handled basket tied with a white ribbon. 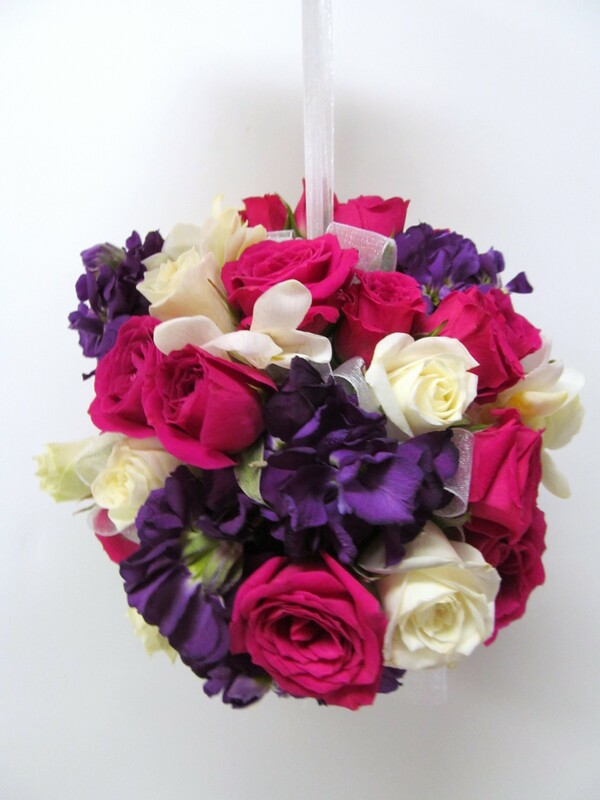 The junior bridesmaids carried pomander balls made of roses, freesia and stock in complementing colors to the bride. 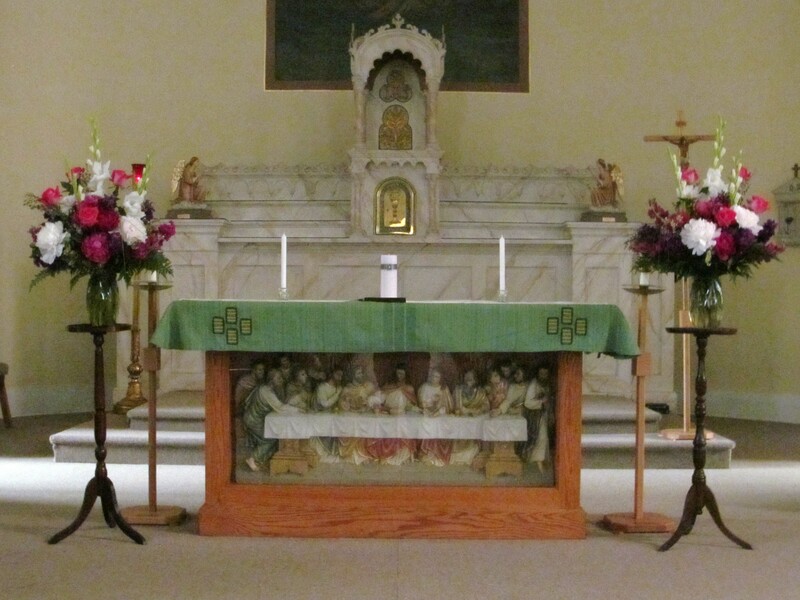 The ceremony held at St. Mary’s in Swormville was accented by two vases of fresh flowers on each side of the altar. 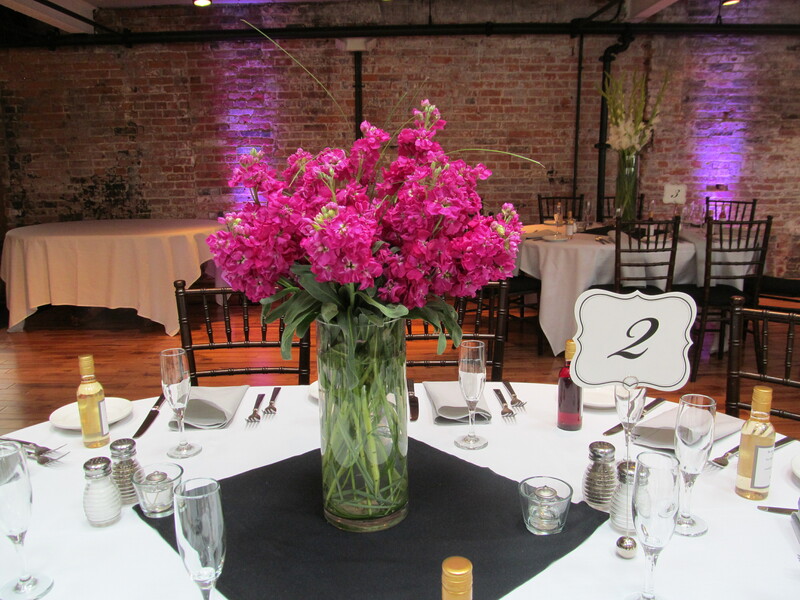 The reception held at The Lafayette in Downtown Buffalo popped with bouquets of gladiolus and stock in vibrant fuchsia and simple white. 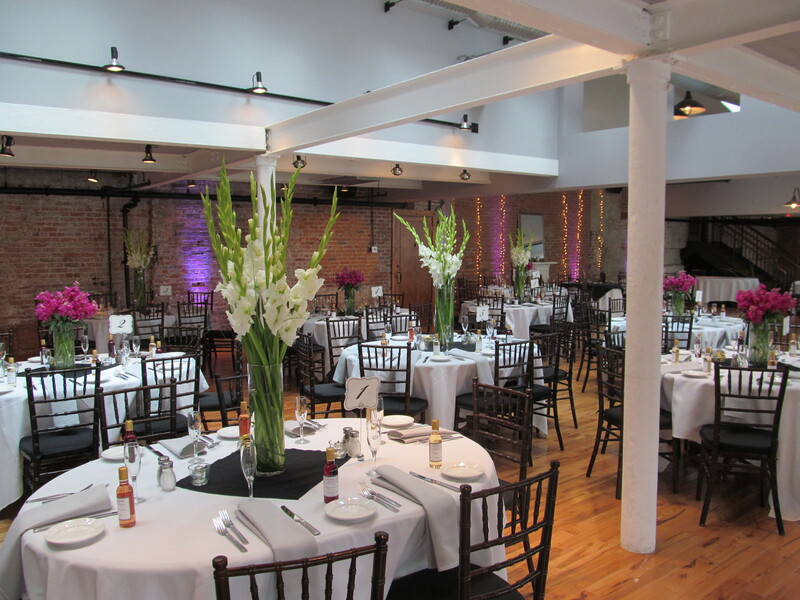 Tall cylinder vases provide a modern look to complement the feel of the Lafayette. 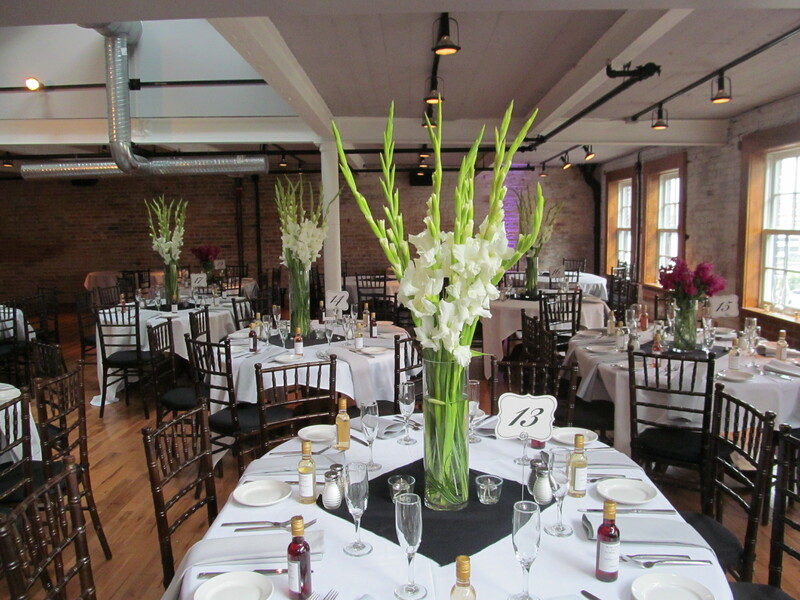 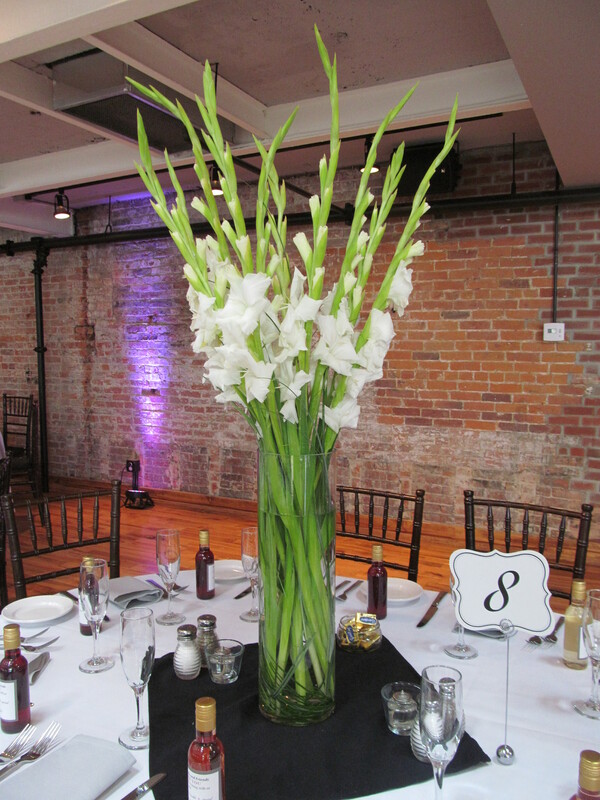 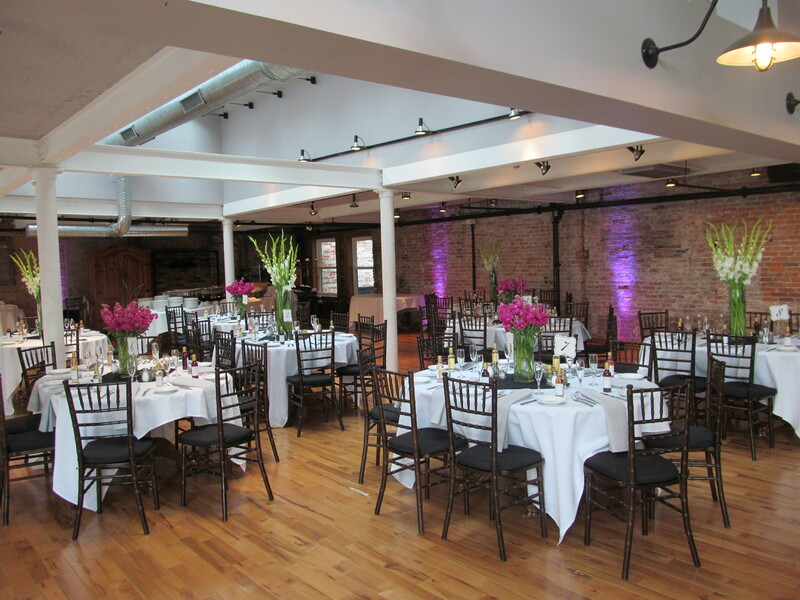 The tables alternated between all white arrangements of gladiolus and all fuschia arrangements of stock.